of Land Use (CLU)/Licence was granted in pursuance of these allegations, and (iii) whether by such act, any illegality was committed. The said reference was registered as Complaint No. 773 of 2013 in the office of the Lokayukta, Haryana. Acting on the reference made by the Chief Secretary, the office of the Lokayukta issued a public notice requesting the public in general to send any such material including Video Compact Disc (VCD) connected with the subject in issue. Apart from the public notice, communications were sent to various departments of the Government, television channels and newspapers for furnishing all materials to find out the allegations of corruption against the persons who have been named in the complaint. thus, on 16.01.2014, two persons allegedly conducted a sting operation and filed their affidavits before the Lokayukta. The appellant, in the meantime, got the CD examined from M/s Truth Labs, Bangalore and also got the forensic examination of the audio and a report was submitted on 20.01.2014 opining, as averred, that the audio and video recording in the earlier CD was not continuous and the recording did not appear to be authentic. Be that as it may, on weighing the material brought on record, the Lokayukta thought it appropriate to recommend for registration of FIR for offences punishable under the provisions of the Prevention of Corruption Act, 1988 (for short, “the 1988 Act”) and investigation by a senior competent officer of impeccable integrity. issue of a writ or direction in the nature of mandamus restraining the respondent No. 1 from initiating any consequential proceeding on the basis of the impugned orders. The grounds asserted for the assail were that there was no verification of the genuinity of the alleged VCD and that the action taken was perverse, illegal, arbitrary and violative of the provisions of the Act. While so stating, the learned Single Judge ruled that if there is any other material or information of corrupt practice against the writ petitioner, the State shall be at liberty to carry out the investigation as per law. “However, with a view to ensure absolute objectivity in the ongoing investigation and to rule out any possibility of alleged prejudice against respondent No.1, the Director General of Police, Haryana is directed to re-constitute a Special Investigation Team comprising three senior IPS officers who originally do not belong to the State of Haryana. authorities to which we shall refer to at the relevant place in the course of our deliberations. authority in Justice Chandrashekaraiah (Retd.) v.
Janekere C. Krishna & others2. “As mentioned above, an Upa-Lokayukta does function as an adjudicating authority but the Act places him short of a judicial authority. He is much more “judicial” than an investigator or an inquisitorial authority largely exercising administrative or executive functions and powers. Under the circumstances, taking an overall view of the provisions of the Act and the law laid down, my conclusion is that the Upa-Lokayukta is a quasi-judicial authority or in any event an authority exercising functions, powers, duties and responsibilities conferred by the Act as a sui generis quasi-judicial authority. The aforesaid pronouncement was rendered when the appointment of Upa-Lokayukta was challenged on the ground that one of the constitutional functionaries was not consulted. Emphasis was on the nature of the post held by Lokayukta or Upa-Lokayukta. The aforesaid paragraphs would clearly show that neither the Lokayukta nor Upa-Lokayukta has any jurisdiction or authority to direct implementation of his report by the constitutional functionary but when after investigation, it is found that the public servant has committed any criminal offence, prosecution can be initiated for which prior sanction of any authority is required under any law for such prosecution and the same shall be deemed to have been granted. exercised is under Article 226 of the Constitution of India and resultantly, the order passed by the learned Single Judge is amenable to correction in intra-court appeal. The maze needs to be immediately cleared. In the instant case, we are really not concerned with the nature of the post held by Lokayukta or Upa-Lokayukta. We are also not concerned how the recommendation of the said authorities is to be challenged and what will be the procedure therefor. As has been held by this Court, neither the Lokayukta nor Upa-Lokayukta can direct implementation of his report, but it investigates and after investigation, if it is found that a public servant has committed a criminal offence, prosecution can be initiated. matrix has exercised criminal jurisdiction or not. “17. And We do further ordain that the High Court of Judicature at Lahore shall have extraordinary original criminal jurisdiction over all persons residing in places within the jurisdiction of any Court subject to its superintendence, and shall have authority to try at its discretion any such persons brought before it on charges preferred by any magistrate or other officer specially empowered by the Government in that behalf. an appeal would lie to the Division Bench and second, if the appropriate Legislature has expressly or by necessary implication not taken away a right of appeal, the appeal shall lie from the Single Judge under Clause 10 of the Letters Patent to the High Court. that the 1987 Act and the 1986 Act are beyond the competence of the State Legislature. been clearly held that the State Legislature has competence to amend the Letters Patent. The purpose of referring to this judgment is that till a competent legislature takes away the power of the Letters Patent, the same can be exercised by the High Court. However, while exercising the power under the Letters Patent, it is imperative to see what is the nature of jurisdiction that has actually been provided in the Letters Patent. The exercise of jurisdiction has to be within the ambit and scope of the authority enshrined in the provision meant for intra-court appeal. the High Court, the Commissioner of Income Tax and the Income Tax Officer prayed for grant of certificate to the High Court and after grant of such certificate, appealed to this Court. At the commencement of hearing of the appeal, the learned counsel for the assessee raised a preliminary objection that the appeal filed by the revenue was incompetent because the High Court had no power under Article 133 of the Constitution to certify a proposed appeal against an order in a proceeding initiated by a petition for the issue of a writ under Article 226 of the Constitution inasmuch as the proceeding before the High Court was not “a civil proceeding” within the meaning of Article 133. It further held that a civil proceeding is, therefore, one in which a person seeks to enforce by appropriate relief the alleged infringement of his civil rights against another person or the State, and which, if the claim is proved, would result in the declaration, express or implied, of the right claimed and relief such as payment of debt, damages, compensation, delivery of specific property, enforcement of personal rights, determination of status, etc. the character of the proceeding does not depend upon the nature of the tribunal which is invested with the authority to grant relief but upon the nature of the right violated and the appropriate relief which may be claimed. In the ultimate analysis, the two-Judge Bench held that the petition filed by the appellant before the Nagpur Bench of the Bombay High Court was admittedly under Article 227 of the Constitution and under the rules of the High Court, it was heard by a Single Judge and under Clause 15 of the Letters Patent of that High Court, an intra-court appeal against the decision of the learned Single Judge was expressly barred. the intra-court appeal is the nature of jurisdiction invoked by the party and the true nature of the order passed by the learned Single Judge. private person not discharging any public duty. “29.1. Judicial orders of the civil court are not amenable to writ jurisdiction under Article 226 of the Constitution. 29.2. Jurisdiction under Article 227 is distinct from jurisdiction under Article 226. Recently, in Jogendrasinhji Vijaysinghji v. State of Gujarat and others26 the Court was dealing with a batch of appeals that arose from the High Court of Gujarat as regards the maintainability of Letters Patent Appeal. 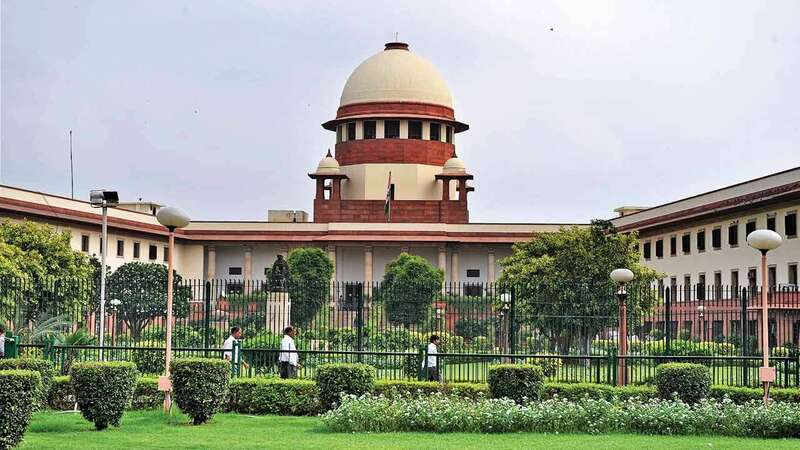 The Court referred to the nine-Judge Bench decision in Naresh Shridhar Mirajkar (supra) and the three-Judge Bench decision in Radhey Shyam (supra) and ruled that a judicial order passed by the civil court can only be assailed and scrutinised under Article 227 of the Constitution and, hence, no intra-court appeal is maintainable. authorities in Lokmat Newspapers (P) Ltd. v.
imbricate. It was reiterated that it would depend upon the nature, contour and character of the order and it will be the obligation of the Division Bench hearing the letters patent appeal to discern and decide whether the order has been passed by the learned Single Judge in exercise of jurisdiction under Article 226 or 227 of the Constitution or both. The two-Judge Bench further clarified that the Division Bench would also be required to scrutinise whether the facts of the case justify the assertions made in the petition to invoke the jurisdiction under both the articles and the relief prayed on that foundation. The delineation with regard to necessary party not being relevant in the present case, the said aspect need not be adverted to. We have referred to these decisions only to highlight that it is beyond any shadow of doubt that the order of civil court can only be challenged under Article 227 of the Constitution and from such challenge, no intra-court appeal would lie and in other cases, it will depend upon the other factors as have been enumerated therein. An appeal shall lie from the judgment of a Single Judge to a Division Bench of the High Court if it is so permitted within the ambit and sweep of the Letters Patent. The power conferred on the High Court by the Letters Patent can be abolished or curtailed by the competent legislature by bringing appropriate legislation. A writ petition which assails the order of a civil court in the High Court has to be understood, in all circumstances, to be a challenge under Article 227 of the Constitution and determination by the High Court under the said Article and, hence, no intra-court appeal is entertainable. Bench adjudicating the lis as to how it understands and appreciates the order passed by the learned Single Judge. There cannot be a straitjacket formula for the same. It is propounded by Mr. Visen that a writ of certiorari can be issued on many a ground and when the learned Single Judge has issued a writ of the present nature in quashing the order of the Upa-Lokayukta, it has to be treated as an order under Article 226 of the Constitution of India. That apart, he urged that the issue whether it would be under Article 226 or 227 is to be determined by the Division Bench of the High Court. does not render any assistance to the argument advanced by the learned counsel for the respondent-State. “Whether appeal under Clause 15 of the Letters Patent of the Court lies against the judgment in such a case. In other words, whether a proceeding for quashing of investigation in a criminal case under Article 226 of the Constitution of India is a civil proceeding and the judgment as above is a judgment in a civil proceeding in exercise of the original jurisdiction of the Court for the purposes of appeal under Clause 15 of the Letters Patent." According to Mr. Visen, learned counsel for the respondent State, the view expressed by the Andhra Pradesh High Court is absolutely defensible in law and, therefore, the appeal being maintainable, the order impugned in the present appeal does not warrant any interference. observations of the Division Bench cannot be construed to mean that when a petition is filed under Article 226 of the Constitution, L.P.A. would lie irrespective of the fact that such question might have arisen in exercise of criminal jurisdiction. “80. In our considered opinion, in the instant case, the proceedings can be said to be criminal proceedings inasmuch as, carried to its conclusion, they may result into imprisonment, fine etc. as observed by the Supreme Court in Narayana Row. From the totality of facts and circumstances, we have no hesitation in holding mat the learned single Judge has passed an order in exercise of criminal jurisdiction. At the cost of repetition, we reiterate what we have already stated earlier that the proceedings were of a criminal nature. Whether a criminal Court takes cognizance of an offence or sends a complaint for investigation under Sub-section (3) of Section 156 of the Code of Criminal Procedure, 1973 does not make difference so far as the nature of proceedings is concerned. Even if cognizance is not taken, that fact would not take out the case from the purview of criminal jurisdiction. Being of this view, the Division Bench ruled that as Clause 15 of the Letters Patent expressly bars an appeal against the order passed by a Single Judge of the High Court in exercise of criminal jurisdiction, LPAs are not maintainable and, accordingly, dismissed the same. would be a criminal proceeding within the meaning of Letters Patent. “32. The test, thus, is whether criminal proceedings are pending or not and the petition under Article 226 of the Constitution is preferred concerning those criminal proceedings which could result in conviction and order of sentence. Judge in exercise of Article 226 of the Constitution relating to criminal jurisdiction, can be made the subject matter of intra-court appeal. It is not provided for and it would be legally inappropriate to think so. In view of the aforesaid premised reasons, we hold that the High Courts of Gujarat and Delhi have correctly laid down the law and the view expressed by the Full Bench of the High Court of Andhra Pradesh is incorrect. petition is not the governing factor. What is relevant is what is eventually being sought to be enforced. The Division Bench observed that as there is a preventive detention, there is a violation of fundamental civil right. The said decision, as is noticeable, was rendered in a different context. We are only inclined to say that the said authority does not assist the proposition expounded by the learned counsel for the State. investigation and the final order of the writ court is quashment of the registration of FIR and the subsequent investigation. In such a situation, to hold that the learned Single Judge, in exercise of jurisdiction under Article 226 of the Constitution, has passed an order in a civil proceeding as the order that was challenged was that of the quasi-judicial authority, that is, the Lokayukta, would be conceptually fallacious. It is because what matters is the nature of the proceeding, and that is the litmus test. In view of the aforesaid prismatic reasoning, the irresistible conclusion is that the Letters Patent Appeal was not maintainable before the Division Bench and, consequently, the order passed therein is wholly unsustainable and, accordingly, it is set aside. However, as the State had been diligently agitating its grievance in a legal forum which it thought had jurisdiction, we grant liberty to the State to assail the order of the learned Single Judge in accordance with law.